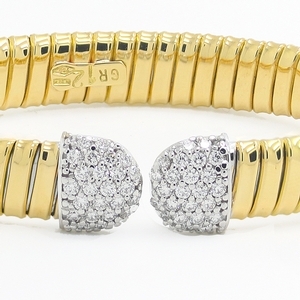 Diamond Open Front Cuff Bracelet at Reliable Gold in Providence, RI Reliable Gold Ltd. 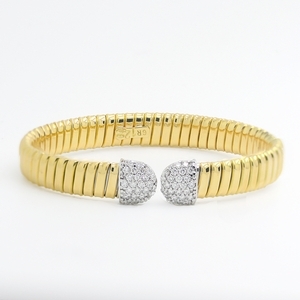 The bracelet that you will never take off and love to wear every day and everywhere! 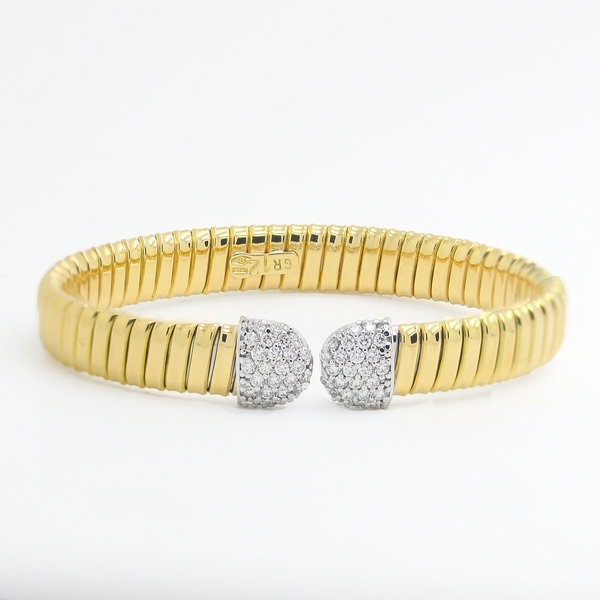 This rich ribbed 18K yellow gold cuff sits perfectly on the wrist with pave diamond terminals at its open ended front with approximately .75 carats of diamonds total weight. Truly stunning.